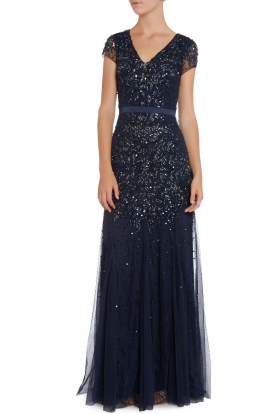 Show off all night long in this gorgeous cutaway gown by Abyss. This premium stretch jersey gown features two thigh high slits, cutouts at the waist and a lovely open back. Neckline is a halter closure. The skirt is not lined but the bodice is.